He wants something else to eat while I'm reading blogs and writing this post - oh that's now! My 89 year old next door neighbour is outside and wants to keep me chatting for the next hour when I have ten minutes to get the washing out before trampolining starts (Oh I am SO mean). When are you posting this button to me then, Mrs Frugal? If you read this, you are tagged too! Ha ha ha ha ha ha - you are a woman after my own heart! I think I need the windowcleaner version - I never have any cash at home to pay mine! 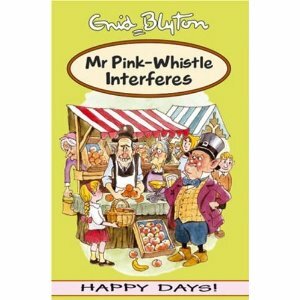 A book called Mr Pinkwhistle interferes would never get published these days would it?